We are having years of experience in manufacturing, exporting and supplying of the premium range of Uretero-Renoscopy Instruments, which are specially fabricated as per set industry norms. Our wide range includes Adapter, Uretero-Renoscope, Long Stone Grasping Forceps, Biopsy Forceps, Stone Grasping Forceps and Scissors. We specially fabricate our range of Stone Grasping Endoscopy Forceps to extractlargerstones with ease from kidney and bladder. This range is well known for its various features such as sturdy design, durability, easy to use, biocompatibility and easy to sterilize. Each of the Endoscopic Grasper is well tested before making it available into the market by our expertise team. We are having expertise in manufacturing of superior quality of Stone Grasping Forceps, which are used to extract stones from bladder and kidney. 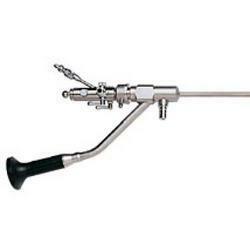 This range of Laparoscopy Equipment is available in 60 cm length and double action jaws. Our range finds its various applications in medical facilities in hospitals, operation theaters and nursing homes. 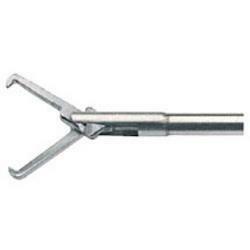 We are offering a premium range of Long Stone Grasping Forceps with 60 cm length and double action jaws. Our team of experienced and qualified professionals is designed the product in compliance with various quality standards. They are always striving to make this product to match up with the current industry requirements. We are one of the trusted names among the manufacturers and suppliers of the extensive assortment of Uretero-Renoscopes, which are clinically tested on the various quality standards by our team of qualified professionals. Our range of Uretero-Renoscopes is highly acclaimed for its various features such as durability, safe usages, longer functional life and reliability. This range is suitable for the treatment and transurethral examination of renal pelvis and the ureter. 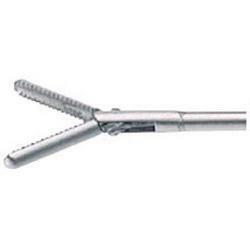 We are one of the leading manufacturers and suppliers of the extensive assortment of the Biopsy Forceps, which are fabricated from high grade of stainless steel using advanced technology and latest machineries. 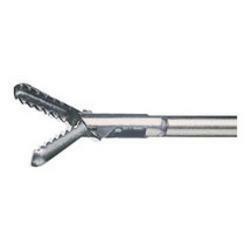 Forceps jaws are specially designed to deliver clean and sharp cutting action. We are having a wide spread network to ensure timely delivery of the products to our esteemed clients. 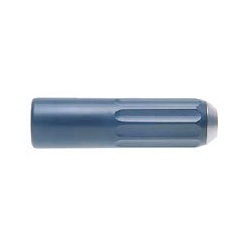 Our range of Adapter is widely applicable in EMS-Lithotriptor. Our products are precision engineered by our team of experts who are always striving to add new features to our products. 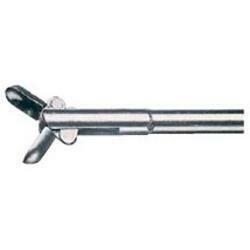 The products are made using high grade plastics and other allied metals and materials. These are available in standard dimension and designed ergonomically by our team.